In this interview Michael Tellinger talks about the evidence intelligent ancient (300,000 years old) civilizations in South Africa and their gold mining culture. 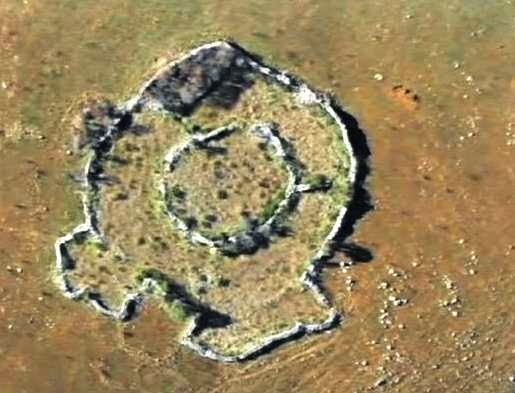 Over 1 million circular stone structures lie scattered throughout southern Africa. Until recently these have been called cattle kraal, of little historic value. Extensive research by Michael Tellinger and others has revealed that these are the remains of a vanished ancient civilization dating back tens of thousands of years. It covered an area larger than modern day Johannesburg and London together. Tools, artifacts, and petroglyphs indicate that the Egyptians and Sumerians got much of their knowledge and imagery from this vanished civilization. Scientific evidence shows that this was also a gold mining culture and many prehistoric gold mines are still present throughout the area. According to Michael Tellinger, the stone circles were part of an ancient system to produce sound waves into the atmosphere by using a device, (sound laser beam) what we call today a Saser, needed for gold mining. SASER is a device capable of emitting acoustic radiation. Acoustic radiation (sound waves) can be emitted by using the process of sound amplification based on stimulated emission of phonons. Sound (or lattice vibration) can be described by a phonon just as light can be considered as photons, and therefore one can state that SASER is the acoustic analogue of the laser. All of this is crowned by a stone calendar now called Adam’s Calendar that is forcing the academics to question human origins.